I`m sure he means Comm Ave with people jockeying to beat the lights while avoiding cars and trucks double parked on the right or turning left over the tracks. 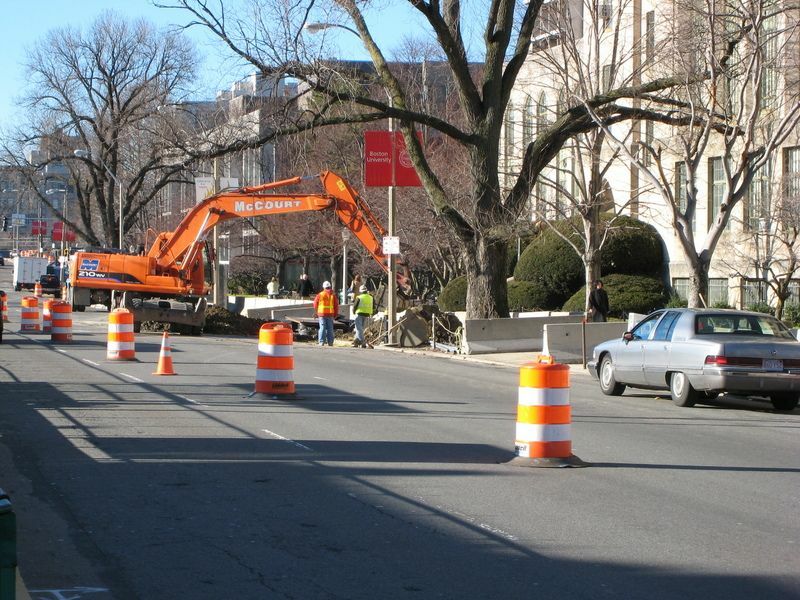 I'm sad to see some of the grand elms on Comm Ave are declining and slowly dieing. Neglect and poor care has its consequences. No matter how much they do it always seems to look the same. Well in defense of "they" not a whole lot has been done, yet. No major changes yet. Some water pipes seem to move around, sidewalks have random holes and so on. I've watched them pecking away at this stretch of Comm. Ave. for decades. Do you remember, for example, when the Green Line had neither Jersey barriers, nor iron fences, nor stations? I guess it was a streetcar then; now it's light rail. You mean like the Blandford street stop, among a few others? Just a slab of concrete with a faded yellow line. Also, yesterday I observed something interesting. On the inbound side, they have a large pipe running between the sidewalk and the road. 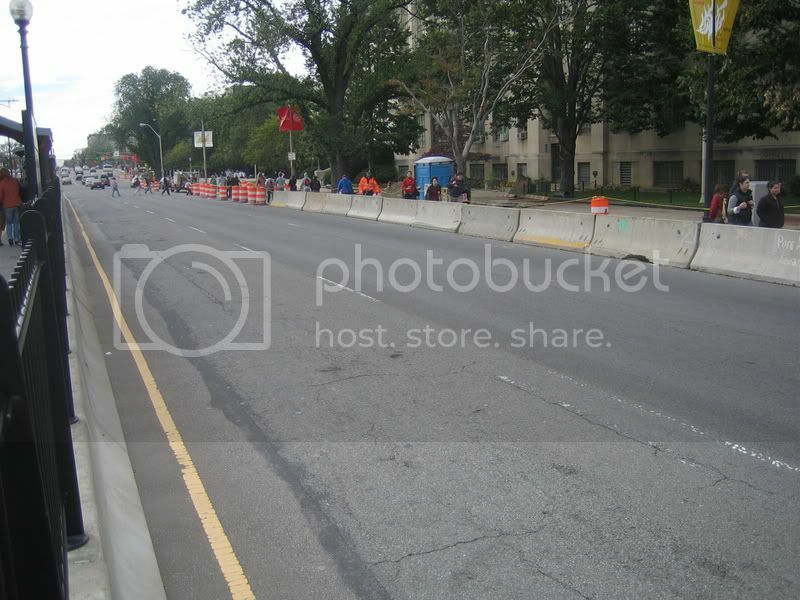 Halfway down the block, people are asked to move from the sidewalk onto the road, over the pipe. Except the pipe is too large for wheelchairs, so this guy had to go all the way back, and then roll along the street, with the cars, to make it down the street. Not very safe. Agreed. They've been pecking away, this is actually a vision that focuses on creating a better pedestrian environment by narrowing lanes. Nothing too special but necessary. I know nobody likes it, but... dang, that B.U. skyscraper is nice! Is it still the law school? It needs to survive another twenty years unaltered, and then we'll all be cooing over it. They'll restore it to better than new and spend more than it cost to build it. The National Trust will give them an award. I personally refer to the BU law school as the "Ministry of Truth" it is so grim and alienating. There has been a lot of talk over the years of tearing it down or refacing it. I actually like it. It does a better job with brutalism than city hall does. A lot of people seem to hate this building, but it has never bothered me. ^ Stands like a sentinel beside the river. Very iconic, even totemic. 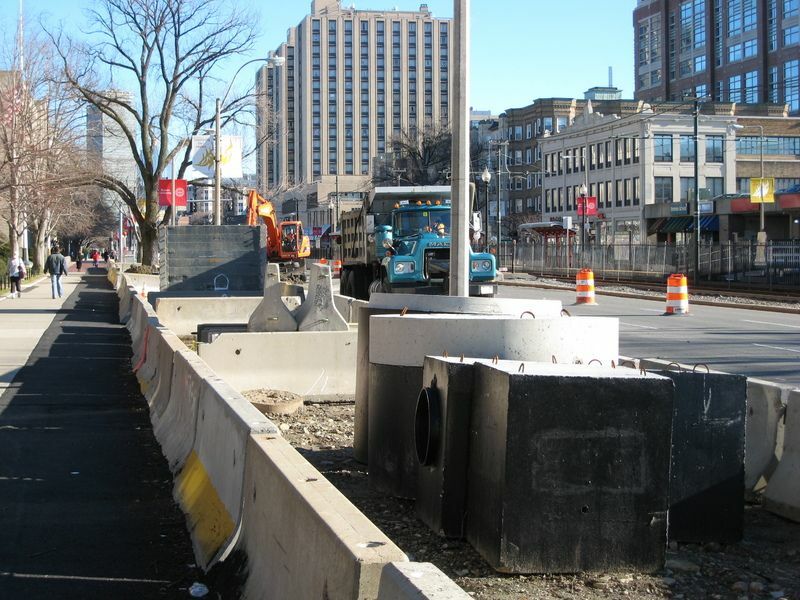 Things are still a mess..
^BU may move quickly with its projects, but Boston sure doesn't! Has anything changed this month from last??? No, they havent even started on the actual street. 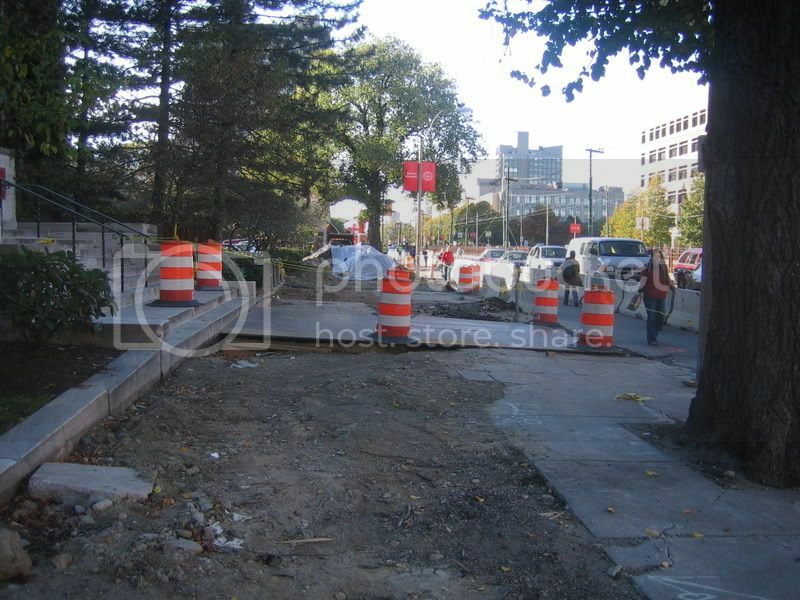 All the construction has been on the sidewalk, moving water pipes and so on. Thats why I stopped my updates. Theres movement yes...but in pictures it means not much.